This property has 2 King(s), 1 Queen(s), 1 Full(s), 4 Twin(s), 1 Pull Out Sofa(s). Much thought and attention to detail went into creating this property. Perfectly sized for Lakeshore Drive, the lot itself is quite interesting with ample access to the lake, though this would be even better when lake levels return to normal. 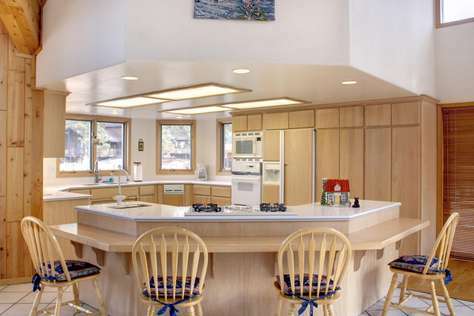 The house is roomy and sensible, with excellent, modern but robust appliances. Because we visited in the winter, the heated floors and driveway were a welcome luxury. This property has a spectacular living room. WowRentals were professional and efficient in getting our party settled in. 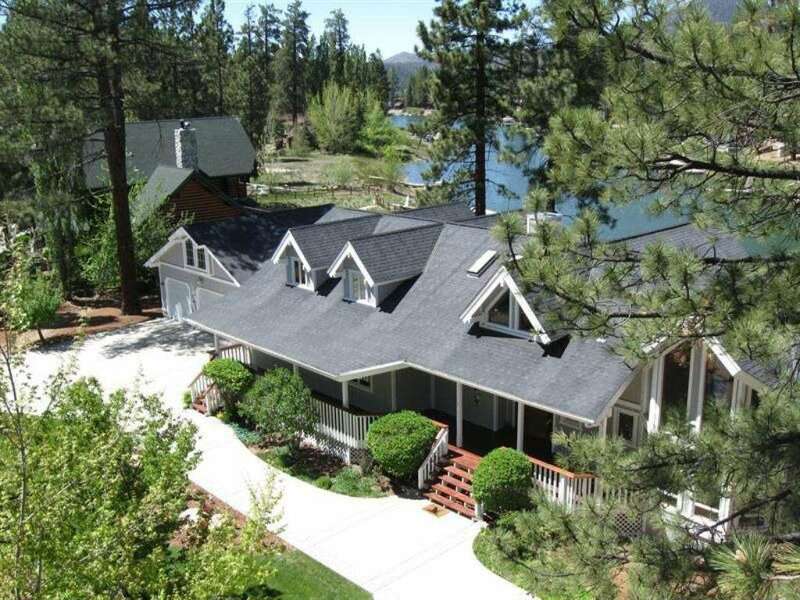 The Big Bear area is an exceptional vacation location, particularly due to its close proximity to metropolitan Los Angeles. 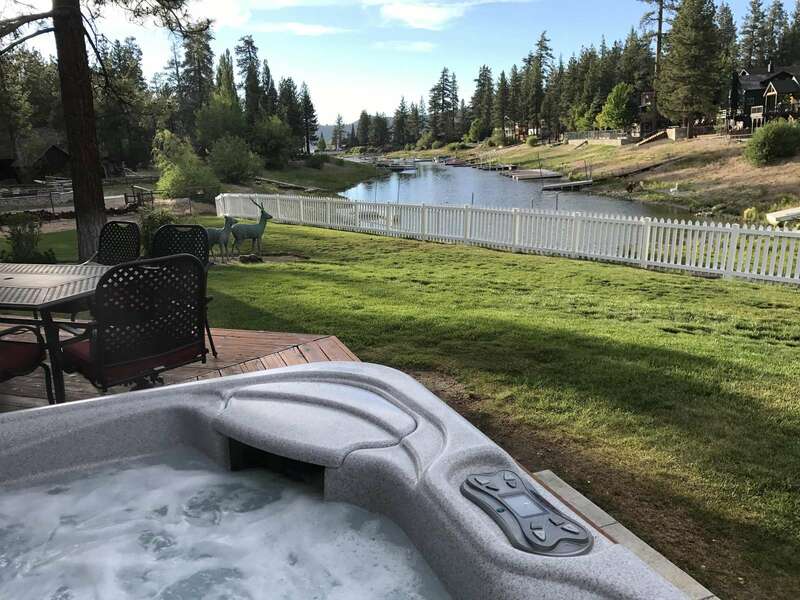 It has altitude, ruggedness, snow and a capable, pretty city in Big Bear Lake to support the many tourists who arrive in high season. I highly recommend this property. 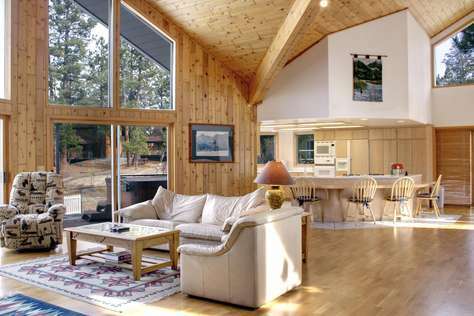 Love the big open great room. The loft is perfect for a group with a lot of kids. Walking distance to the lake and even though the backyard lake access was dried up the kids enjoyed exploring and were able to walk to the the water. Nice hot tub. House was clean and well maintained. I would definitely stay here again. We rented this home for a family birthday celebration. 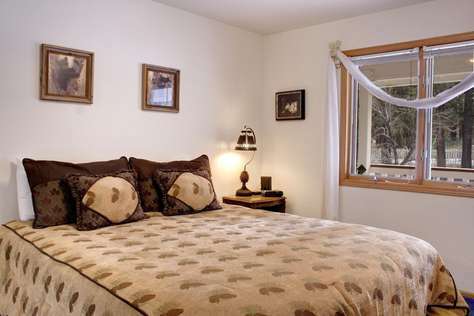 The impression of the property was that it was very upscale and well kept. It was a beautiful place for the event. The home slept 14 easily, as the description said it would. We especially liked the views and all of the windows. The home was clean, and we felt very comfortable there. The customer service at the rental company was perfect. All questions were answered. They even delivered wood to us! Everything was explained to us by the rental representative. It was a perfect home and a perfect trip. I would recommend this home and the company we used to a friend or relative. We enjoyed the village which was very close by. My family and I chose this place for a quick and easy getaway. The place was very clean and all the furnishings were nice. 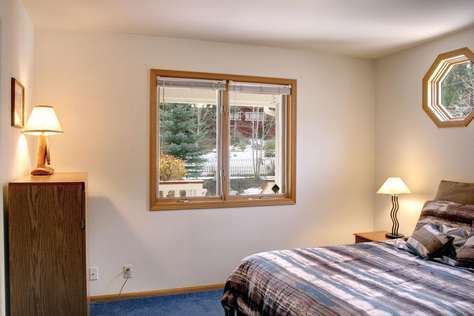 Located close to the village so its a very short drive to all the restaurants and shopping. The property manager was very attentive and helpful. Would definitely stay here again in the future. 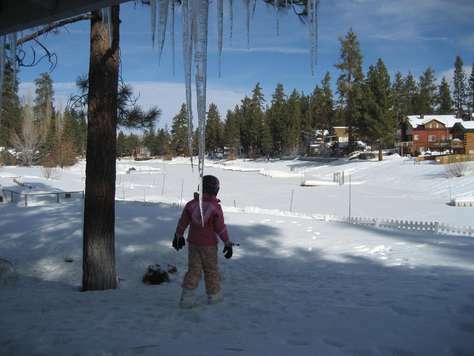 We had a great time enjoying Big Bear with our grandkids. 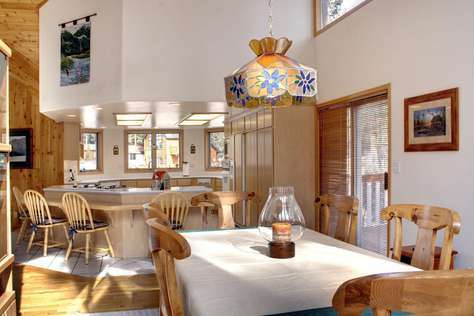 The home was perfect for sharing meals at the kitchen bar, the dining room and on the outdoor patio. Great grassy area for the kids to play while the parents and grandparents relaxed on the patio and in the jacuzzi. Close to everything-we enjoyed hiking, boating and visiting the zoo. The water was low in the lake so we couldn't use the dock but the view of the glassy water reflecting the pines was still vey enjoyable and relaxing. Amazing!! Loved all 5 days we stayed here! The backyard is amazing for kids!! The house is clean and in an awesome location! Very happy with the house! The house and property is absolutely beautiful. 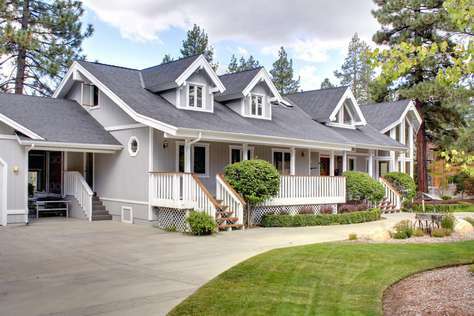 Ideal for large families. The location is within walking distance of Holloway marina boat rentals. 4th of July on the lake is an experience not to be missed. Lovely town with plenty of quality restaurants, shops and watering holes a short car ride away. Overall this rental exceeded all of our expectations. We really enjoyed our stay, and the location and house layout made that very simple. Thank you! We are a large group and often feel the common areas like the kitchen and great room are just too small for us all to enjoy each other's company but this house impressed us all and we never felt like we were bumping into each other trying to get a meal cooked. Thanks!!! We will definitely stay here again in the future! Everything was perfect, and the house is absolutely beautiful! We had a great time skiing and enjoying the hot tub afterwards. Highly recommend this place! This house was in a perfect location. Very close to all the attractions so all of the kids were able to go. It was very nice and had lots of space inside for everyone to sleep comfortably. We enjoyed the snowboarding attraction very much at the Summit Mountain. Would definitely recommend this to big groups. Great house for our family of 10. 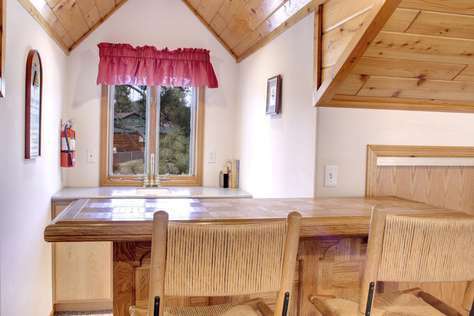 Plenty of sleeping space and large table for game play and meals. The kitchen was stocked well with cooking and servingware. Getting the temperature right at night was an issue, even turned down to 60 it got too hot. Master bed was lopsided until we realized the boxspring had slipped off it's plywood base. Overall a nice place to stay. Had a wonderful time with our large family at this beautiful home. Plenty of room for the 12 of us. Kids loved the open upstairs loft. It ended up being the kid's hangout with beds for 8, a TV and pool table. Started getting a bit cold at night but the hot tub helped us warm up. Great help from Lory and the staff. Had a problem figuring out how to use the TV but a quick call and we were all set to go. New carpet was very nice!! I would rent this again in a heart beat. 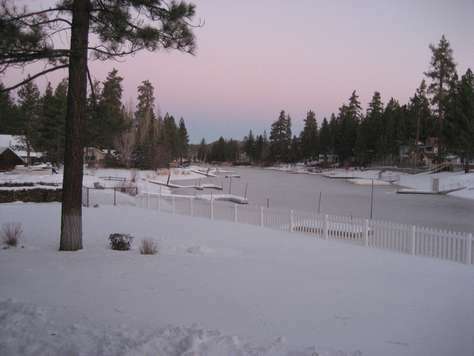 Great location to Marina and downtown Big Bear. Cabin more than comfortably accommodated our party of 9. 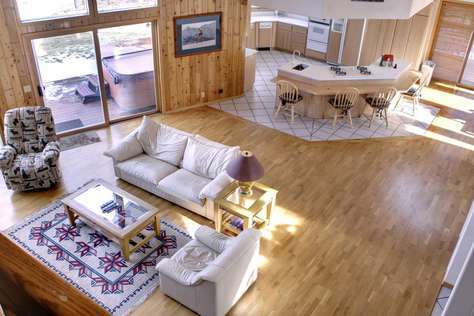 Love the open concept in the downstairs, makes for a very fun place to hang out. Kitchen was extremely well equipped for cooking and storing leftovers. Would definitely consider renting it again. Nine of us stayed for a memorable weekend at the Lakefront Estate on Mallard Bay. 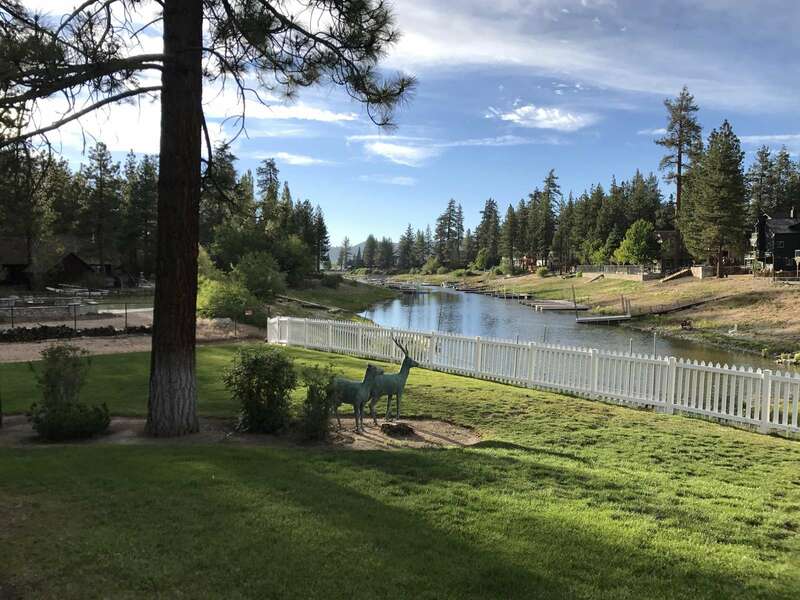 Though there is no dock or water access from the home because of the drought, the marina is a short walk from the property. The home was clean and well maintained. The kitchen had everything we needed to cook. 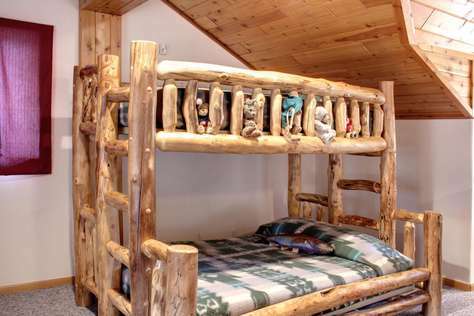 The bedrooms and loft beds were comfortable and clean. 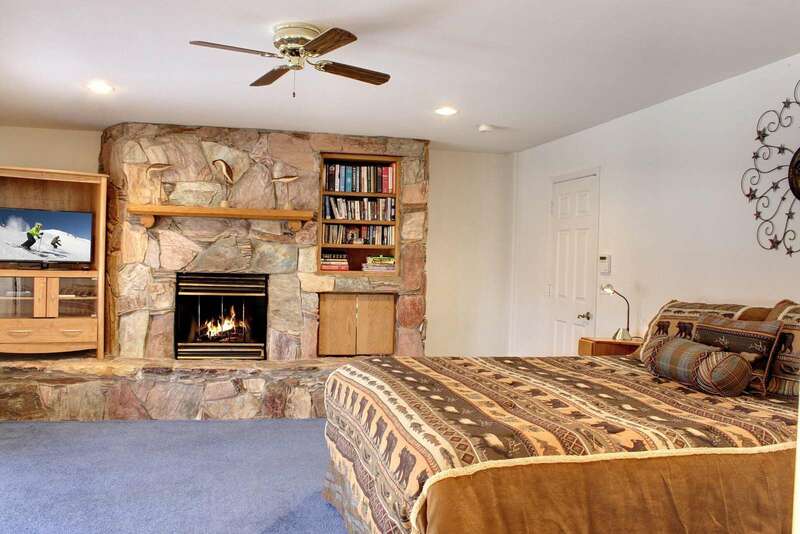 We had a delightful time and would recommend this property to others. Property was perfect for our big group. 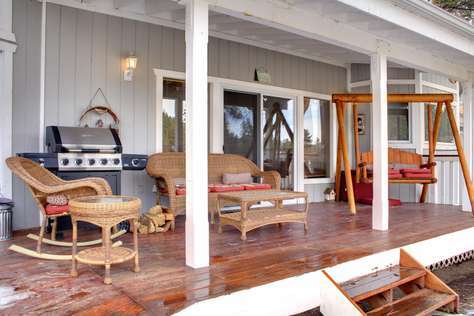 Lots of space inside and out and was not too far from the village and marinas (15 - 20 minute walk). 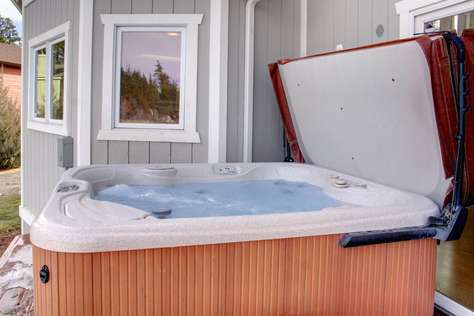 Lots of amenities too like a hot tub, ping pong table, pool table, etc. Plenty of parking and a nice big back yard. Wow Rentals was great and easy to deal with. 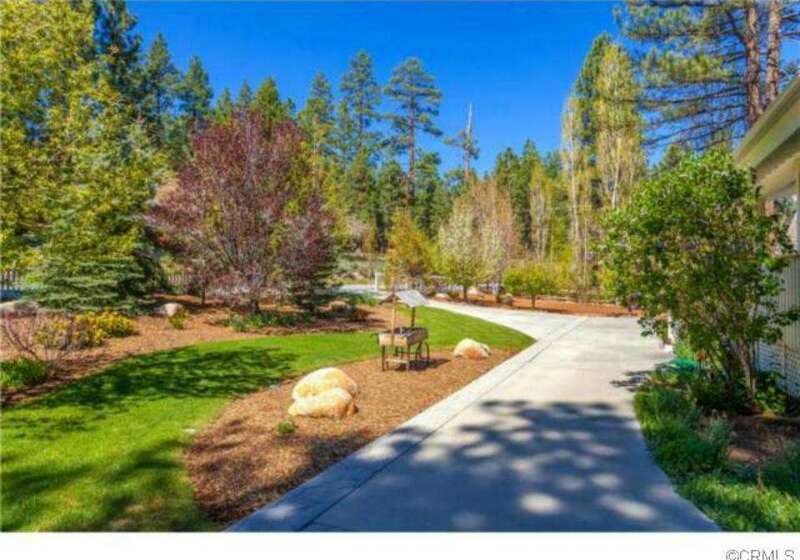 They sent me great info on the property and Big Bear just before our stay. Only down side to our stay was the lake was low so we couldn't use the private dock. 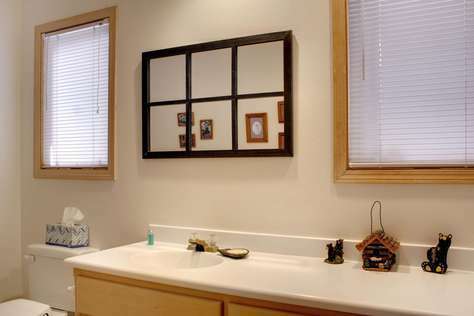 This home was very clean and beautiful. It was unfortunate that the water level at the lake did not allow this to be water front. Even with this not being water front we still gave 5 stars. The linens were luxurious and the landscaping was picture perfect. We will be back. ard was wonderful for the kids to play in the snow. We would stay here again. The house was beautiful and everything the listing described. Customer service was great . Would definitely recommend this property. Saddened by the dry bay but overall great views and our annual family trip was a success. This was an excellent rental for a Medium size group. The house was in great shape and had a wonderful location. Wow rentals was very responsive and professional. I would recommend renting this property to friends. Perfect place to get away with friends and family. Lots of amenities for kids and adults. Cannot wait to get back. This place is a great place to get away. It is big, perfectly located with tons of amenities for kids and adults. Truly recommend it and cannot wait to reserve it this summer. We'll be back for sure. Well maintained home which we spent our xmas. The kids had a blast in the loft where they hang out most of the time. The heated floor is really nice which keep us warm with below freezing temperature outside. 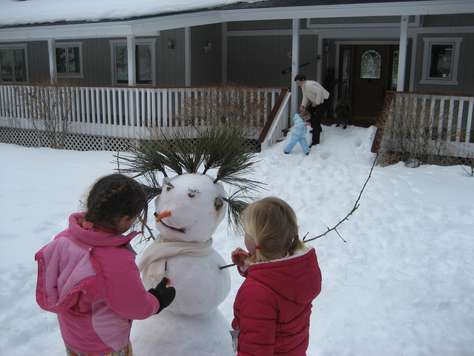 It snowed during our stay and the kids had a blast with the snow play and building a snowman during our stay. The house is also very near to the village and Vons. Will definitely be back. Wow! What an amazing home, right on the lake. The house is huge and open, it looks like it is built on 3 lots. There is room for what feels like a dozen cars. 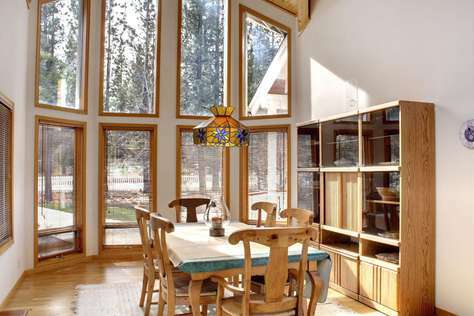 The kitchen dining and living room are open, with really high ceilings. 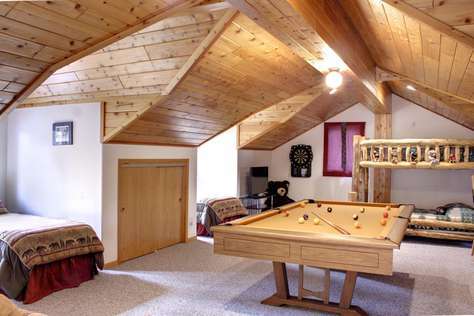 There is a great loft, with beds and a game area. It was a perfect winter wonderland for us, it had snowed the night we arrived and it felt like we were back east. Snowball fights galore. The radiant heated floors were amazing. It took a bit of time to warm up at first, but walking on heated floors was awesome, and you didn't get that dry air feeling you do with regular heating. Definitely will be back, and hopefully in the summer when the drought is over and the lake comes back up to normal levels. Beautiful home on Mallard Bay that is well maintained and very spacious. The home is very secure and private, offering amenities such as Jacuzzi, pool table, basketball, darts, ping pong table, beautiful view and enclosed backyard! 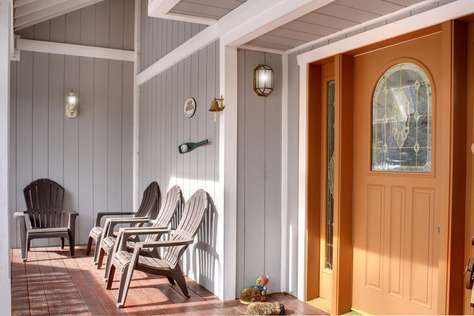 The house has a cozy cabin feel with all of the amenities of an estate home. Very nice property! Beautiful home on Mallard Bay with fenced in back yard for kids to play. 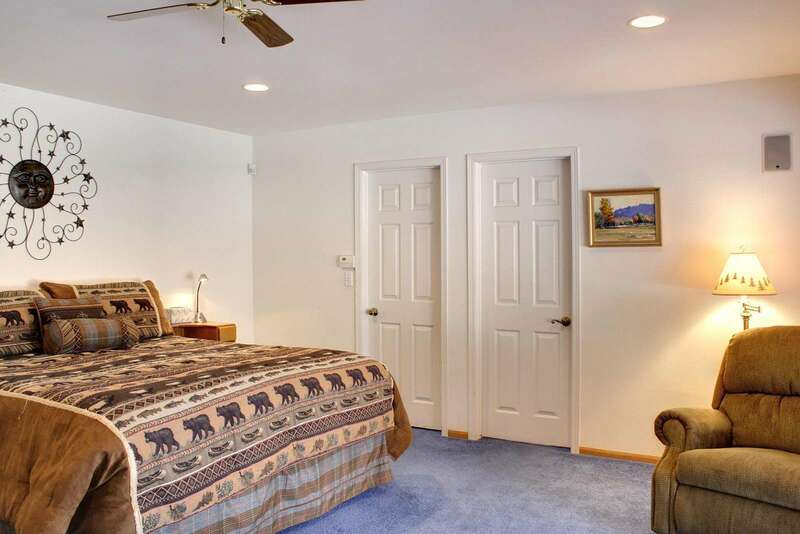 Home is in good condition, well maintained and very spacious. There are many fun activities to do in the home too: pool table, basketball games, ping-pong table, darts! Our kids had a blast! 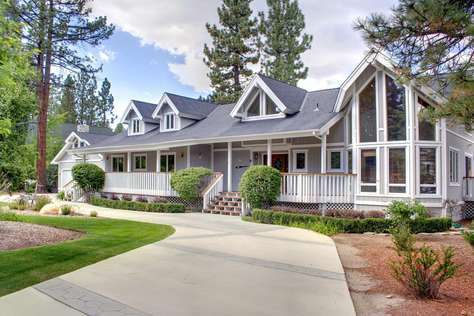 The house has a cozy cabin feel with all of the space and amenities of an estate home. Really nice home with a beautiful view! We will definitely return! We had an amazing time, I wish we could do it every weekend! This home has the best view of the bay and probably the nicest on the block. 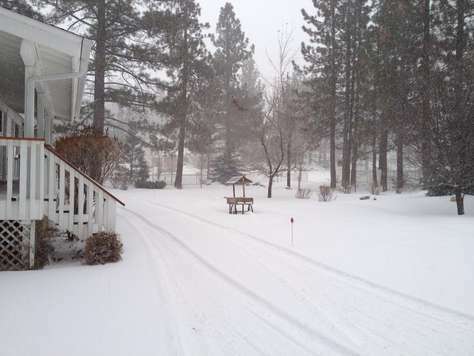 As soon as you make it to the driveway you are already exited and once you walk in all you can say is wow. Well kept, very spacious and plenty of activities to do. They have ping-pong, billiards, games and very close to all outdoor activities whether it be the hiking the mountain or going down the slides which both were super fun. Property management was very helpful and responsive throughout the entire process. Highly recommended. Thank you again Ryan! My friends and I stayed here for a bachelorette weekend, and we were all very impressed with the house and the location! The landscaping in the front and back yard are beautiful, and driving up to the house we were already in awe. 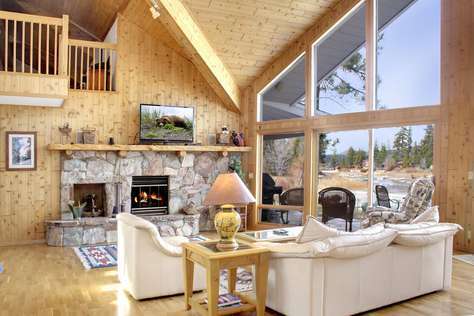 The house overlooks the lake with huge floor to ceiling windows in the main living area, and truly has the feel of a cozy mountain cabin. We happened to be there on a weekend with a big rainstorm, but we enjoyed the cozy warmth inside the cabin and watching the rain on the lake! The house offered so many activities to keep us busy indoors (ping pong table, pool table, darts, etc.) that we never felt cooped up with the rain! We absolutely loved our stay and wished we had planned a longer stay! We will definitely be coming back, and are already planning our next trip! Amazing Views! My family and our friends stayed here for a week this summer, and we loved every minute of it! First thing we all said was "wow" when we walked in and saw the floor to ceiling windows and view of the water. The house was laid out perfectly for all of us. The upstairs loft kept the kids busy for hours, with all the toys and the pool table. And we enjoyed hanging out on the back patio with the view of the water. We fished from the dock, and took the canoe out a few times. 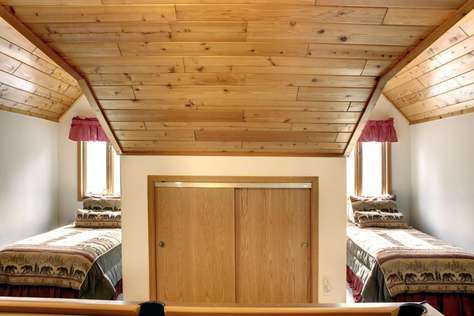 Comfortable beds, very spacious and roomy. This place is awesome, and we will definitely be coming back!